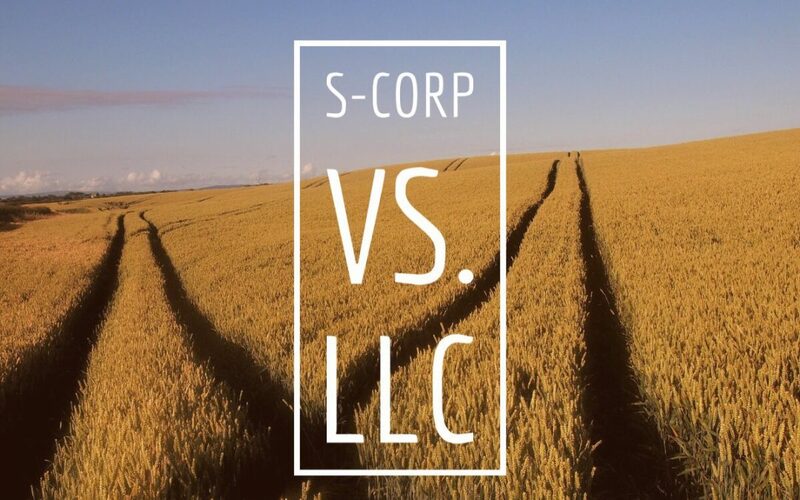 What’s the difference between an S-Corp and an LLC? So what is the difference between and LLC and an S-Corp? First off, we are Nuance Financial based out of Minnesota about 20 minutes south of Minneapolis. We are an accounting, bookkeeping, tax & payroll firm that focuses on small businesses, non-profits, anyone who earns 1099 income and we’re the Dave Ramsey endorsed local providers in the southern half of Minnesota. SO WHAT”s the difference between an S-COrp and and LLC? Well first off, both of them are actually LLC’s. When we refer to an LLC, we’re talking about an LLC taxed as a Sole Proprietor – We’ll just call it an llc. And then when we talk about S-Corp, we’re actually referencing and LLC taxed as an S-Corporation. Legal protection so that there is a corporate veil between the companies assets and your personal assets. And they both serve as pass-through tax entities, which means the profits and losses will flow through to the business owner. For both an LLC and an S-corp, you’re going to be figuring out your tax on your – net profits – which is what’s left after you subtract all your deductions and write offs from your businesses gross income. In an LLC, your entire net profit will be subject to what’s called Self Employment tax. Remember when you were an employee at another company and your paycheck had that little “FICA” and “MEDICARE” deduction. Well, when you have an employer & employee relationship your employer would have paid half of the social security and medicare tax, while the employee paid the other half. Then, after you pay your self employment tax, you’ll be subject to state and federal income tax. This is simplifying it a bit, but essentially you’ll be paying an increasingly higher, or “marginal” tax rate on those earning. The more you earn, the higher your tax rate! So with an LLC, you’ll pay a 15.3% self employment tax on your net profits then you’ll pay state and federal income taxes. Let’s look at a quick scenario focusing on just the self employment taxes for a fictitious LLC taxed as a sole proprietor. Here if you had taken in total revenue of whatever, then after your deductions & expenses – you had a net profit of a hundred thousand dollars, your self employment tax bill comes out to $15,300 dollars. Breaking that down bit, that’s a monthly bill of 1,275 dollars JUST for your self employment taxes. That’s not even factoring your State income tax, property tax, or anything else you pay….. that seventeen thousand dollar income tax – is just for a single person paying federal income tax on $85,000 in income. This puts your total tax bill, EXCLUDING fees, sales tax, property tax, state income tax, or other dues …….at a very conservative $33,000 dollars a year. This means You’re taking home $8,300 a month in income, and writing a check to the government for 2,750 a month. If that doesn’t get your heart racing a bit, I don’t know what will. Use an S-Corp to Mitigate Self-Employment Taxes. So what can we do about this conundrum? Well, the most popular strategy employed is incorporating to an S-Corp. With an S-Corp, you’ll incorporate and become an employee of your corporation. Then you will take TWO forms of income. So we’re going to split up the income into these two parts, the salary and then the distribution. What you’ll see in a minute is that the salary is subject to the 15.3% self employment tax while the distribution is not…. so you’re paying 15.3% on your salary, but not not on your distribution. Because the distribution income is not subject to that 15.3% self employment tax, the temptation can be to falsely shift all of your income over to a distribution & not take a reasonable wage. Now starting with the same $100,000 of net profit, you will pay yourself for this illustration – a $60,000 salary. Then, you would take out $40,000 in distributions. The tax benefit is that the salary is subject to the 15.3% self employment tax, but the distributions are NOT subject to the self employment taxes. This means that 40,000 in distributions are not subject to a 15.3% tax! Putting your total self employment tax due down from $15,300 to $9,180…. which is a 40% decrease! Rather than paying $1,275 a month in self employment taxes as an LLC, you’ll be paying 765 a month as an s-corp.
That means you’ve essentially freed up $510 dollars in monthly cash-flow in this scenario. In a scenario like that, 510 dollars a month can easily help you save for retirement, payoff your mortgage early, hire some help, advertise, or invest in real estate sooner……. Now, if you’ve already become an LLC, and you like the idea of becoming an S-Corp, you have to file for an S-Election before March 15th – or you’ll have to wait till the next year. Strategies that utilize an S-Corp can give you tools to help mitigate your taxes, but these strategies should be handled by a competent CPA or tax professional. Here at Nuance Financial, we specialize in helping small businesses from across the country implement these strategies as part of a long term solution. If you’re a small business owner or 1099 income earner, we’d love to help you navigate the nuances associated with tax planning. As a Lakeville Tax and Accounting firm, we serve companies across the nation by helping them with their bookkeeping, tax filing, tax prep, payroll, and accounting. Our goal is to ensure that you’ve done everything possible to pay your fair share and not a penny more. Not only is implementing an S-Corp stategy a great idea, but you can accomplish a number of other tax advantaged goals when you overlay investment properties, passive income investments, retirement plans, and other companies. Our Mission: Empower business owners to focus on what they do best by serving them as an outsourced accounting, tax, payroll, and bookkeeping team. Our Values: To be trustworthy, competent, rigorous, and enjoyable.